The last thing anyone needs is to come home after a long day and find that their garage door won’t budge, or to be unable to leave in the morning when they have places to be! Rather than putting off garage door repairs, which will only cause more damage in the long run, why not get them taken care of today in no time and for an affordable price! Our experts are ready to lend you a hand. 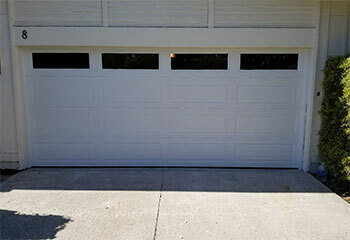 We’ve been working on garage doors just like yours in the area for years, which means that you can trust us to know the best solution for any problem. We take into account everything from your door’s brand to your budget to determine the best way to take care of your needs. Using the highest quality tools and parts available, we’ll get your door like new again and ensure that our solutions will last for a long time. If you do indeed find yourself stuck with a door that won’t budge, just let us know when you call! We offer emergency services to take care of such situations quickly and efficiently so you can get on with your day. Even if it’s not an emergency we’ll come out on time and get straight to work so you won’t be wasting your precious time and can move on with your busy schedule before you know it. We also offer same-day service as well! Unfortunately, due to years of use and wear that is bound to take its toll, eventually certain parts of your garage door will require repairs. However, we’ll take care of them quickly and easily for you so you won’t have to worry! Tracks or rollers that have rusted or worn out will slow down your door and make it hard for it to move. We can repair or replace either as needed to get it moving smoothly again. Panels on the door itself can also be repaired or replaced should any scratches, dents, or cracks occur over time. Troubles with your garage door’s movement such as it reversing suddenly when trying to close or only working sporadically tend to be because of a malfunctioning opener. It may be that the motor has worn out and needs replacement, or in the case of issues with the remotes or wall panel, that the circuit board needs attention. Whatever the case, we’ll be able to get to the bottom of the problem and repair or replace parts as needed to get it working like new. We’re familiar with all of the major brands as well! One of the easiest ways to keep your garage door in good shape and ensure its longevity is with regular maintenance services! This allows our experts to be able to catch any potential signs of trouble now rather than later with our thorough examination of the system. Locating any rust, wear, or otherwise now can save you the headache of a broken-down door later! Part lubrication will also keep your door running swiftly for you, as well as keep important parts like the springs limber and less likely to break due to strain. Whether you’re looking to sell your house and want to increase the curb appeal, or simply want to rejuvenate your home for your own satisfaction, a new garage door can make a huge difference! Thanks to making up a big part of the front of your home, a brand-new door can completely enhance the style of your home and create a new eye-catching addition to it to wow neighbors and visitors. We’re very familiar with the most popular manufacturers like Clopay and Amarr, so whatever you’ve got your eye on, we can install it for you before you know it. While the springs of your garage door are one of the most vital components of it, they’re also the most dangerous to be handled by anyone inexperienced. That's why you should leave them to us, the experts! The springs are the muscles that lit your door up off of the ground, so if one has broken it’s going to have an extremely hard time doing so. We’ll inspect both the broken spring as well as the other ones to determine if they should also be replaced for safety and get it all done and over with for you easily. Here are a few of the most recent work projects our team completed. A broken garage door is no fun. Click here to read about a complete panel replacement job our team recently completed. 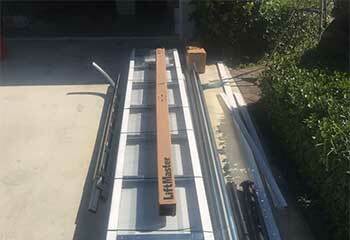 It's very important that your garage door tracks stay in great shape, otherwise… well, just ask this customer. Read more here. 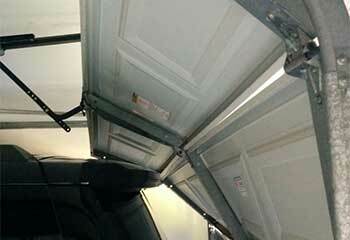 The main benefit of sectional doors, as this customer discovered, is that their panels can be replaced individually. Read more here. 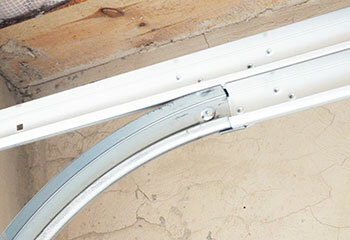 Whether you have torsion or extension units installed, you can count on our experts for help when they break. Learn more here. I’m so happy to have found your company. Our new garage door opener is working flawlessly again. Thanks for responding to my call so quickly! I' m very happy with the new garage door opener you installed for me. Thanks for answering all my questions and advising me on which type was better. My door is so much quieter now I should've called you sooner! It was such a relief to find a reliable garage door company that provides great service at affordable prices in our area. We really can't thank you guys enough!